You may or may not recall that Mr B2 is a big fan of bike packing (an activity which involves cycling over ridiculous terrain for hours or sometimes days, carrying as little as you can to keep yourself warm and fed). 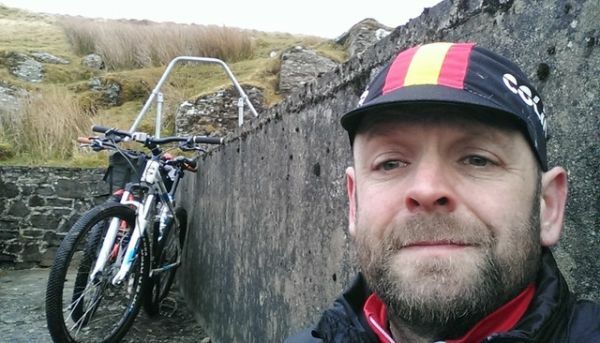 Most of his bike packing has occurred in the beautiful and wild depths of Mid Wales and, from time to time, I have accompanied him to undertake my own walking trips to remote bothies. I have visited a particular bothy twice now, arriving in the dark both times and each time leaving too early to give opportunity to thoroughly explore the surrounding hills and lakes. After Not-At-All-Blonde’s graduation ceremony in Buxton and a visit to Todmorden to visit Six-Foot-Blonde, we oldies decided to take the Long Way Home through Wales, camping in the campervan as we went and avoiding as much motorway as we possibly could. This turned out to be a marvellous experience that we intend to repeat very soon and I took advantage of our route to suggest that I show Mr B2 where the bothy was (just in case he wants to get off his bike at some point), and that we further explore the area (together for once). 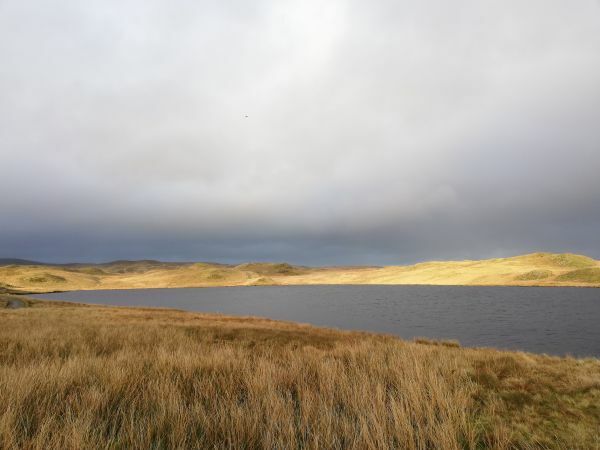 The Cambrian Mountains offer exactly the type of walking a Dartmoor Blonde likes, wild, lonely and with a hint of bog every now and again. The Teifi Pools sit high up in the hills and can be approached on foot from most angles and by single track road from Ffair Rhos. I have walked up almost to Llyn Egnant twice, once from the Claerwyn Dam and once across the Monk’s Trod (brave monks – this was a treacherous track in January) from the East. Mr B2 has cycled the area so much and on so many different routes, that the words, ‘I think I’ve been here before’, became his most common ones as we travelled around. A dam coincidence I am sure you will agree! My long distance walks seem to overlap more frequently. I think I have been though Ironbridge four times now.